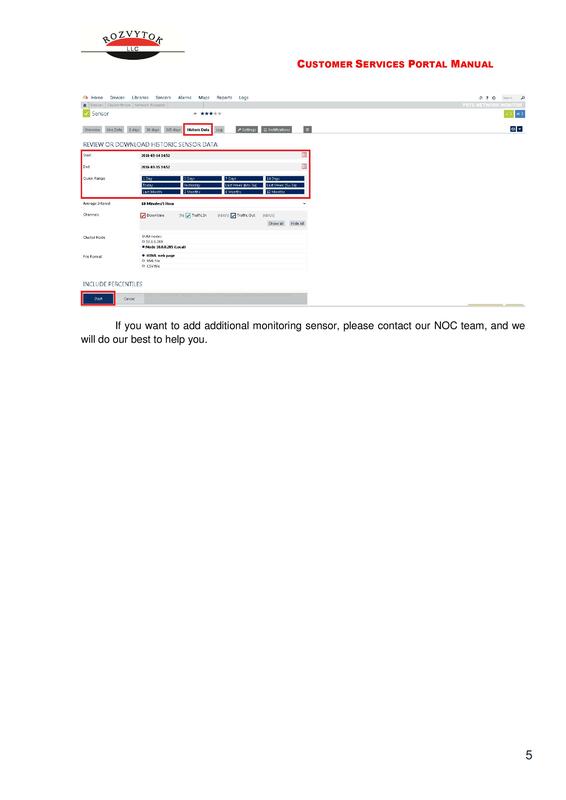 To visit our Customer Services Portal, please click here. Reliable high speed connectivity provides the bandwidth your business depends on every day. 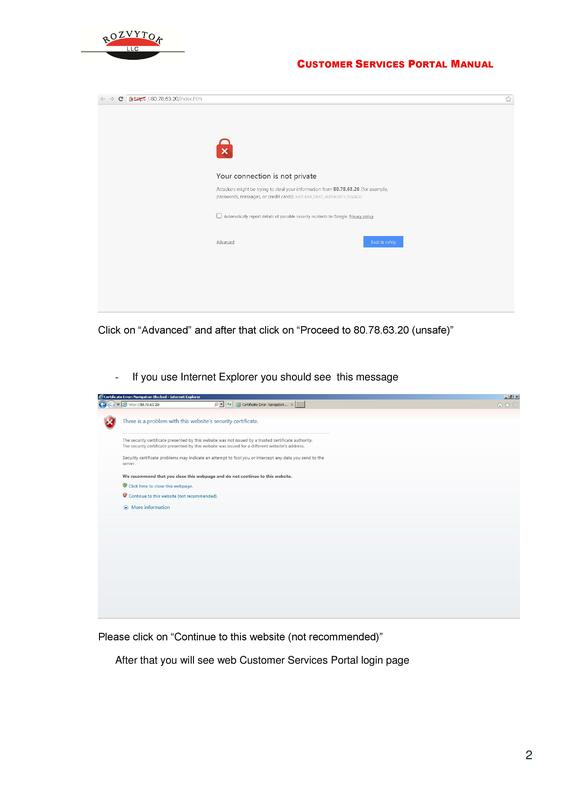 That’s why Rozvytok offers Premium Layer 2 Ethernet (L2E) and Premium Dedicated Internet Access (DIA) services. Rozvytok L2E and DIA offers the flexibility and scalability to meet the needs of your business both today and in the future. We are proud to offer our services in our Region of Coverage, where Rozvytok can support your business in a variety of ways – to optimize your regional business operations. 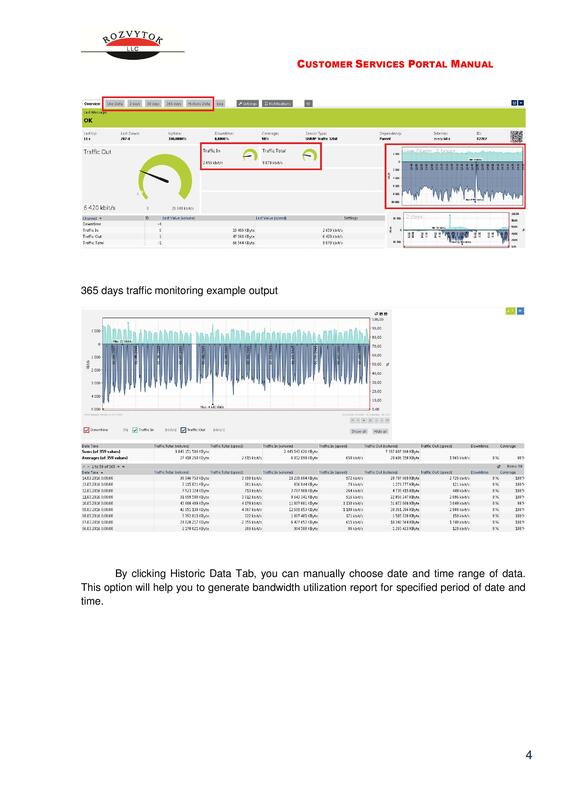 Our fully managed network with 24/7 proactive monitoring delivers connectivity you can count on to support your critical applications and ensure your data reaches its destination. 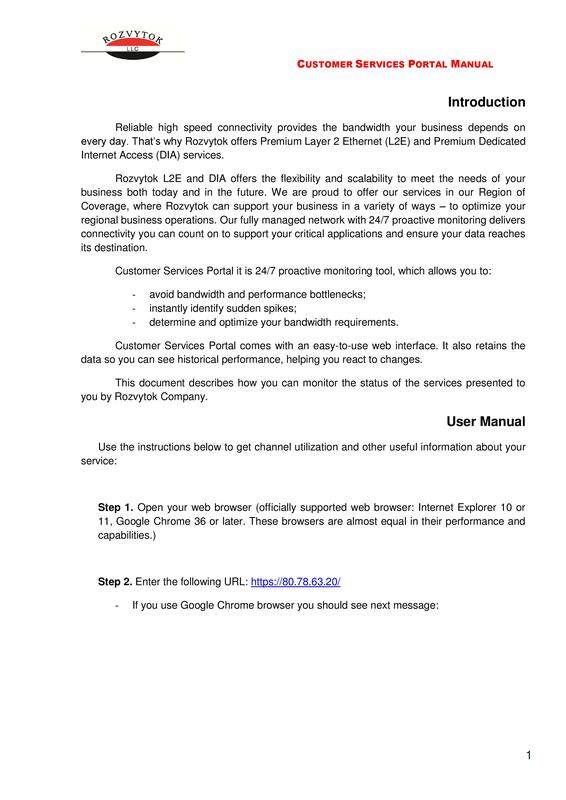 - determine and optimize your bandwidth requirements. 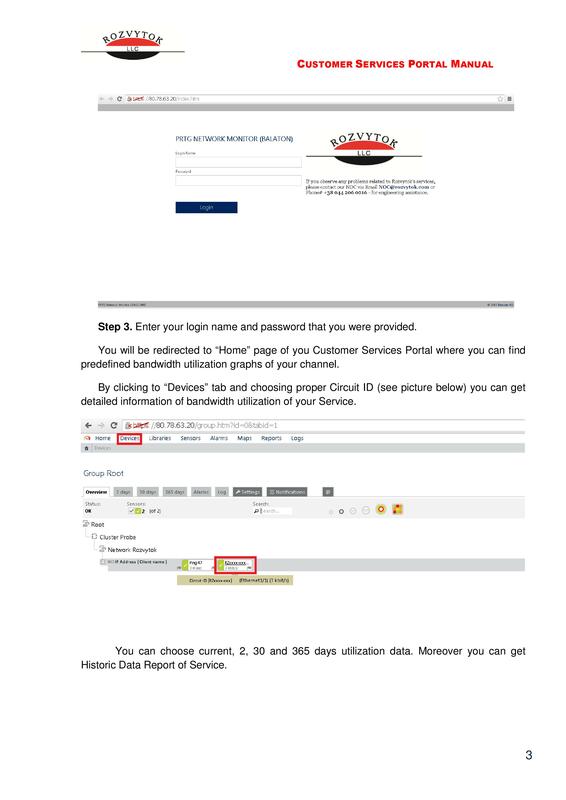 Customer Service Portal comes with an easy-to-use web interface. It also retains the data so you can see historical performance, helping you react to changes. 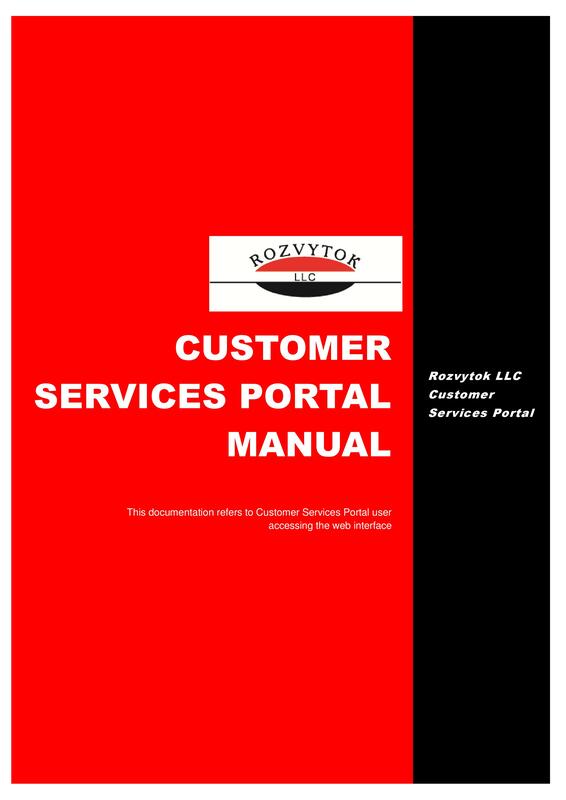 This document describes how you can monitor the status of the services presented to you by Rozvytok Company.